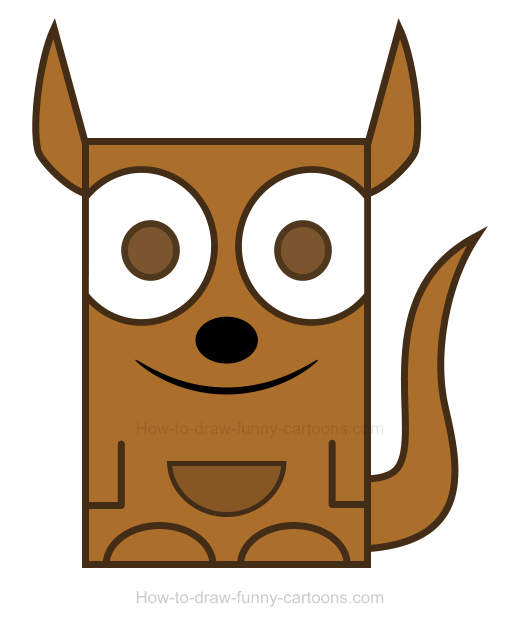 Jump into this kangaroo clipart tutorial and create this nice animal from Australia using just four simple steps! 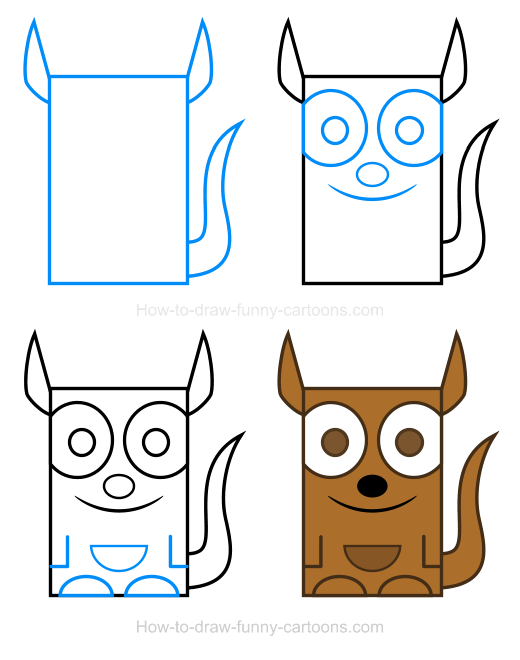 Using mostly rectangles and circles, you will have the opportunity to sketch a cartoon kangaroo that is adorable and really easy to duplicate. Kangaroos are only found in Australia. This intriguing animal can be up to 2 meters tall and weigh up to 200 lb. These animals have large feet, strong back legs and a pouch on the stomach. Unfortunately, kangaroos are also problematic because they are involved in many car accidents. This cute animal is also comestible. First, draw a large rectangle to illustrate the body of the animal. 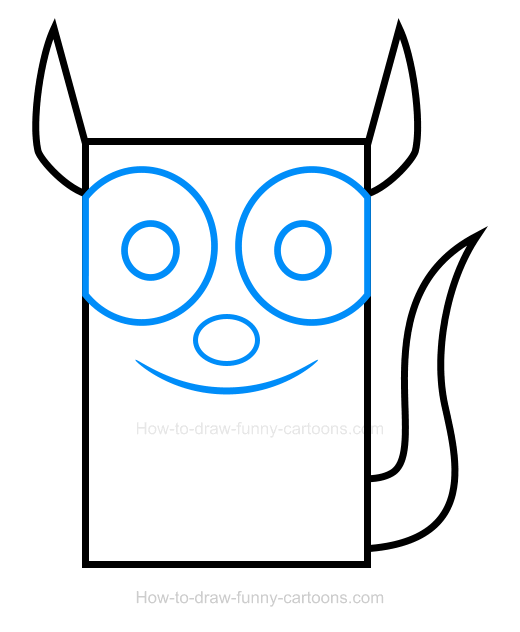 This rectangle must be large and tall and also drawn using a thick outline. 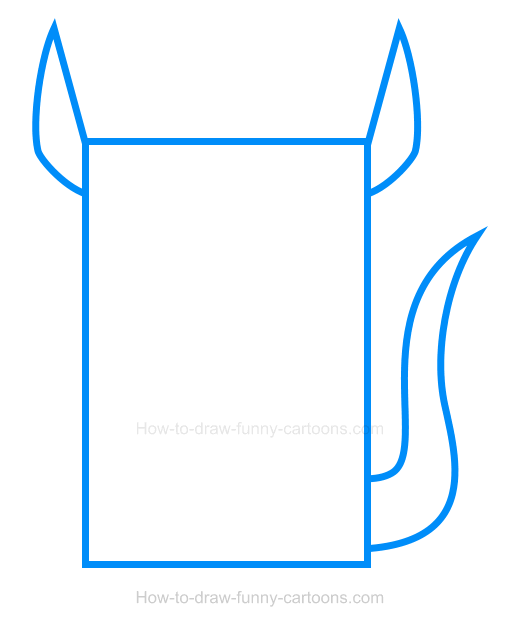 Next, you can add a tail using long curved lines as shown in the illustration below. Finally, simple ears also made from curved lines are drawn on top of the head. Nice work! Let's proceed with the second step by sketching large circular shapes to form the eyes of the animal. Then, you can draw smaller circles inside the eyes to illustrate the pupils. A large oval shape is drawn below the eyes to represent the nose. Finally, the mouth is done from a long curved line made with pointed ends. On the bottom of the body, you can draw the feet using circles. The arms are done with two small straight lines. 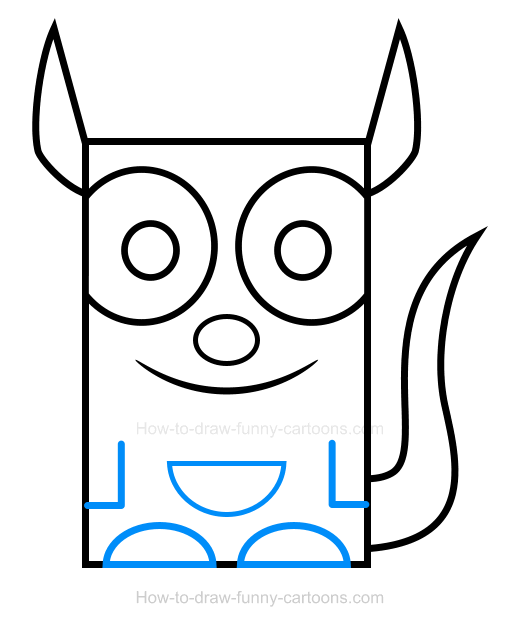 A large pouch made from a curved line and a straight one can be drawn on the stomach of this kangaroo clipart. Nice work! The drawing part of this lesson is now over. You can add colors inside the character using mostly a light brown color. The pupils and the pouch can be slightly darker. The nose and the mouth are black while all outlines are colored with a dark brown color.